Property is 91.33 Acres and has been approved for M1 Zoning. Currently, it is zoned agricultural, but was previously zoned M1. We have the documentation where Prince George County has agreed to allow the property to be switched back. The owner will complete the rezoning process prior to closing. The property is located just off Temple Ave. between Colonial Heights and Hopewell. Convenient to Fort Lee, Interstates 95, 295, 460 and 85. Has a railroad spur that services the rock quarry adjacent to the property. 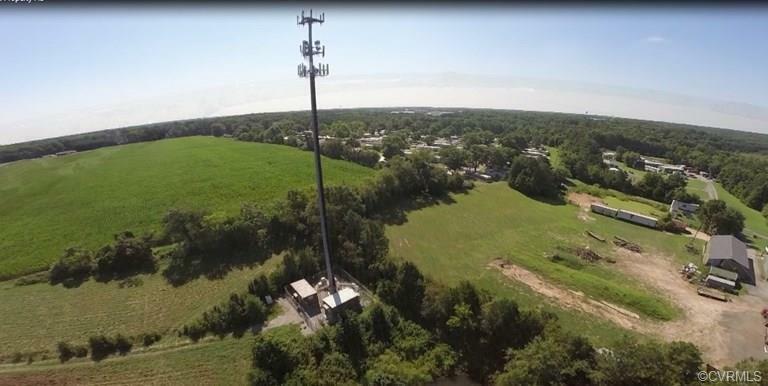 There is also a Cel tower currently on the property that brings in an estimated yearly income of $20, 000. There is already Public water to the property and Public Sewer approximately 14, 000' away and has dedicated easement for installation. The owner will consider bringing the sewer onto the property for the right offer. There is an additional 1.5 acres and house that will accompany the purchase of this property.